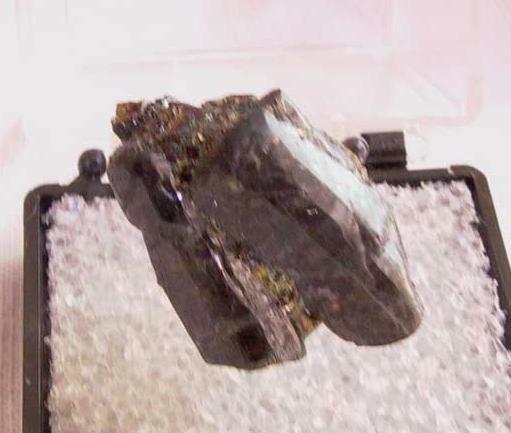 Comments: Rounded glassy prismatic crystals of dark violet brown johannsenite to 1.4 cm. Long. Location: Consols Mine, Broken Hill, NSW, Australia.